The YR Series of power rocker switches from ZF are single or double pole switches with single or double throw operation and available in maintained or momentary actions. The YR series are ruggedly designed and operate at electrical ratings of 20A at 125VAC and 16A at 250VAC with a mechanical life of over 50,000 cycles. 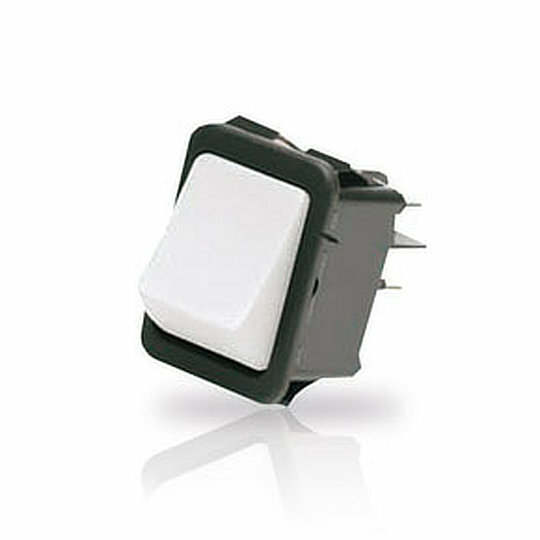 The YR Series of power rocker switches from ZF are single or double pole switches with single or double throw operation and available in maintained or momentary actions. The YR series are ruggedly designed and operate at electrical ratings of 20A at 125VAC and 16A at 250VAC with a mechanical life of over 50,000 cycles. The YR series is offered in white or gray, in nine actuator colours and with illuminated options of LED or neon lamp including options for a small red lens on the rocker. The higher current rating and robust nature of the YR series makes it perfect for applications such as Electronic Appliances, Computer Hardware, Control Panels, Lighting Equipment and Industrial Equipment.